Since its establishment in 1985, Sadhana Builders has carved out a niche position in the field of real estate and never turned back thereon. The last 27 years it has grown manifold and covers all aspects of real estate and understands all areas of commercial and residential property development at prime and potential locations which yields real value in terms of investment as well as comfort. 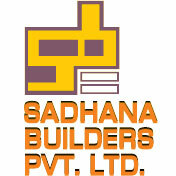 Allover we are proud to declare Sadhana Builders has earned a clean and reputable name for quality construction and innovative designs. Projects that speak about our ability and reputation are spread across Maharashtra in Thane, Chiplun, Ratnagiri and Goa.